The softwood that I use for most joinery and repair projects is redwood (Pinus Sylvestrus). This usually comes from Scandinavia or Russia. Because it grows in a northern climate, its growth is slower, hence closer grained, which leads to a stronger denser material. This will be kiln dried. I know of no naturally seasoned softwood suppliers; to season wood by air takes between five and seven years and the process are reserved for some hardwoods used in historical projects. Redwood comes in different grades, from one to six, one being the best quality and six being used for packing cases. 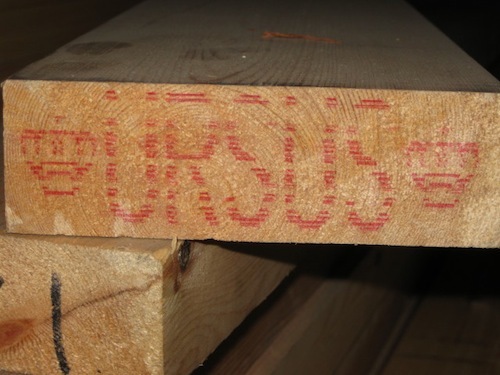 If you go to a timber merchant and take a look at the ends of the timber that they sell, you will usually see a stamp; a crown donates ‘unsorted’ (grades 1 to 4), a star donates 5th grade, and a ‘plus’ sign donates 6th grade. These will be amongst various shipping marks and mill codes. So what’s unsorted? And if it’s unsorted how it can be graded? Simply, a stack is taken apart before it reaches the timber merchants and the 6ths are taken out then the 5ths, and what you are left with is unsorted grades one to four. So ‘unsorted’ is the quality pieces, free from waney edge (bark and most recent growth), large knots, or resin pockets, to name but a few of the defects one can find. 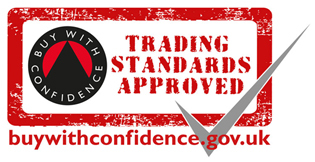 These four grades can be broken down further with the 1sts and 2nds going to high end joinery manufacturers, so what you will be offered is usually unsorted 3rd or 4thgrades. These four grades of timber come from the bottom half of the trunk of the tree. Next comes 5th grade, usually from the middle third of a tree. This is commonly used for dado rails, architraves, and skirting boards. It has a larger knot content and may have small resin pockets. Finally, 6th grade usually comes from the top third of a tree where most of the new growth is taking place, hence defects, knots and wider growth rings. This timber is fit for low end uses such as packing cases, shiplap, and exterior rough carpentry. It is important at this stage to mention whitewood (Picea Abies).This is a fast-growing cash crop, felled after ten to fifteen years. The growth rings are wide and it can be quite knotty. It is lighter in colour and weight and has a tendency to warp and twist, so is definitely not to be confused with Redwood. Its uses are similar to 6th grade redwood. If you are going to buy softwood, I recommend that you go to a timber merchant (not to be confused with builders’ merchants). Not only do you get better quality for your money, and expert advice, but also you are also supporting local businesses. I very seldom buy timber from the big DIY retailers, as I have found the quality to be inferior. If you feel inclined, take a piece of wood purchased from a DIY retailer and compare it with a similar sized piece purchased from a timber merchant. Look at the growth rings and compare the weight. The heavier, closer-ringed timber is the superior one. Two things are sure: if it’s too high, the timber will shrink, and if it’s too low, it will expand. 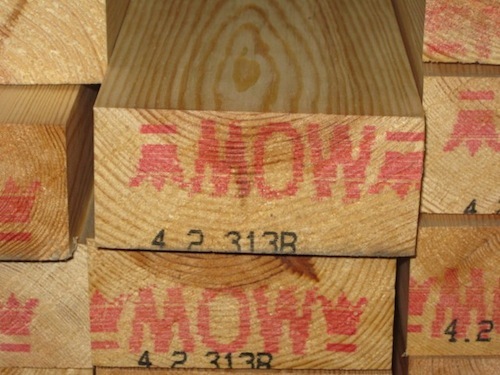 The timber bought from a merchant should come in at about 14-16% moisture. Your home has air of about 14% moisture. An air-conditioned office or a property with central heating running continuously has air about 10% moisture. These figures will fluctuate depending on the time of the year, so expect some movement of the wood. On quality joinery projects, if it’s practical to do so, I leave the timber for a few days in the environment it is intended to be used in. This is particularly important for engineered flooring which can have moisture content as low as 4%. For painting and varnishing, the moisture content should be no higher than 16%. I sometimes hear older people say “you cannot get the wood these days”; by that they are referring to quality. You can get quality wood, but not from the DIY sheds; you need to go to an independent merchant and look for the crown sign.